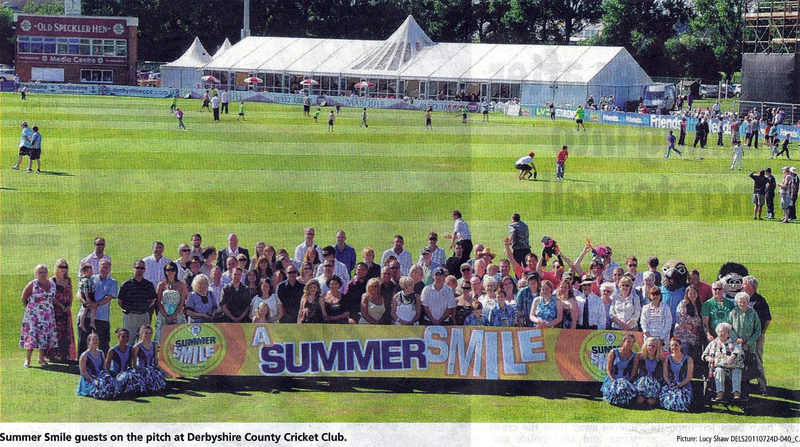 The Derby Telegraph teamed up with Derbyshire County Cricket Club to cheer up some of the local people who have featured in the newspaper this year. Having run a number of stories covering Will Gale’s problems with sponsorship, Will had a very much appreciated invite to watch a one-day cricket match between Derbyshire and Kent. RamTec Motorsport team boss, David Gale, said, “It’s a shame that Will couldn’t make this event but I’m happy to represent him at a great match on a glorious summer’s day. Our thanks go to all of the people at Derbyshire County Cricket Club, the Derby Telegraph, and the sponsors, who have worked so hard to make this such a special day.” The event hosted over 150 guests who were treated to superb hospitality and a stirring Derbyshire win!